Personally, I think this crocheted bag is so pretty. I normally crochet in a single color, but I like the two-toned look in this bag. It’s also nice and sturdy and almost stays up on it’s own like a basket. It’s fairly easy to crochet. 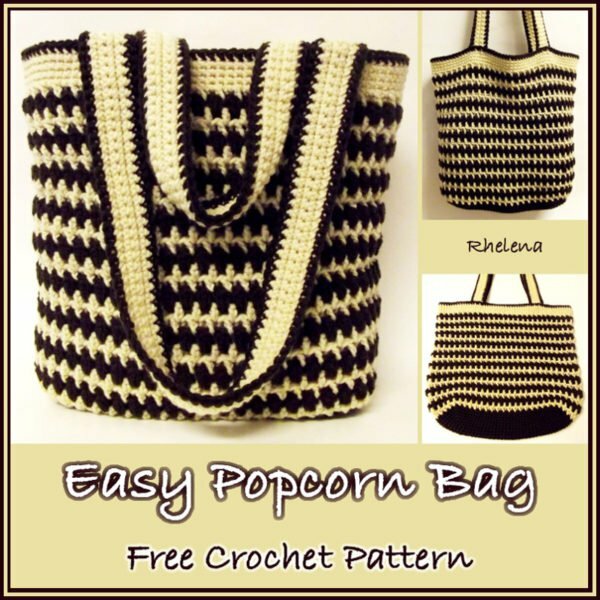 If you know how to do the basic crochet stitches then this might be a good pattern for you to practice the popcorn stitch. The pattern is a multiple of 2, which makes it easy to increase or decrease the size by doing more or less of the bottom increase rounds. If made a bit bigger, I’d say this would be an awesome beach bag. Hope you enjoy the free pattern. Finished Size: When laying flat it measures 15″ by 15″. ESC: Insert hk in st or ch indicated, yo and pull up a lp, yo and pull through one lp, yo and pull through both lps on hk. PC: Work 3 hdc into sp indicated, remove hk from lp and insert into first hdc made, pick up the lp and pull through, ch 1 to close the st. Note: Carry the non-working yarn at the back in order to avoid loose ends. Rnd 14: With CB, sl st into sp before next pc, ch 1, (esc, ch 1) into same sp and into each sp around; join with sl st in first esc. Rnds 15-38: Rep rnds 12-14. Rnds 40-42: Continue with CB, ch 1, sc in same st as join and into each st around; join with sl st in first sc. FO CB. Edging: With CA, ch 1, sc in same st as join and into each st around; join with sl st in first sc. FO. Rows 2-4: Ch 1, sc in first st and into each st across. Turn. (80 sts) FO at row 4. With CA, sc along both sides of the handle. Attach handles to bag; one on each side. Hi Rhelena, Thx for your response. I used different yarn. I posted a pic of my almost finished tote last night to Facebook group, My Hobby is Crochet, and included a link to your pattern. I asked for suggestions on how best to attach tote handles and some said rings. Just curious, how did you attach yours? 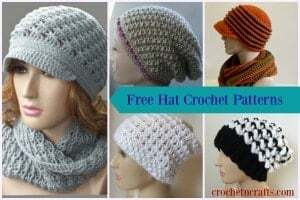 I can how it looks in the picture but not sure what row you attached too and if you crocheted or sewed them on. I want this tote to be able to hold something that might weigh a lot so want a secure handle but don’t want it to pull the other stitching out either! thanks. I’d share a pic with you but don’t see that I can do this here. Heidi, I’m sorry for taking so long. You could definitely use rings, but I sewed mine on. And the best place to share pics is on my Facebook page: https://www.facebook.com/CrochetNCrafts? This is gorgeous, I love the colours and the way they are put together, it looks stunning.